It is my estimation that these are war powers allocation in preparation for something very very big. I believe the Bible (and the prophecies / visions) says the next big prophetic event is Gog / Magog / and the destruction of Babylon the Great. Timing is up for grabs. Since the whole world (all the conspiracy sites, and other leading research organizations such as LaRouche) are predicting WWIII (global thermonuclear war) … and because even the Denver Airport bunkers are there for (among other things) thermonuclear war, the writing is in the wall. 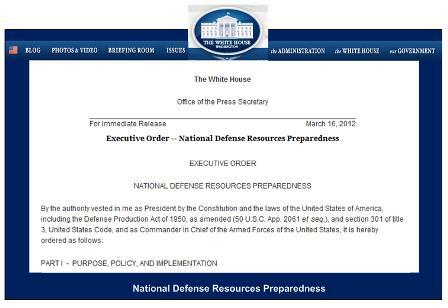 This PDD allocates “war powers” to Homeland Security and other authorities. 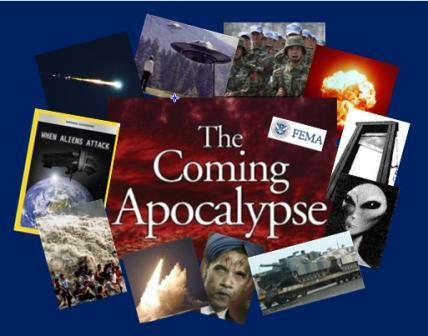 The FEMA camp activation of a few weeks ago is a subset or consequence of the larger threat (Rev 18). They are preparing for the “big show”! Glory to Jesus! 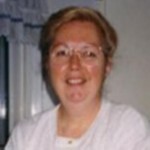 Colleen Thomas, The Pleiadians are Liars! 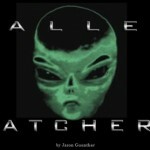 The Galactic Federation and Ashtar Command are Demons! 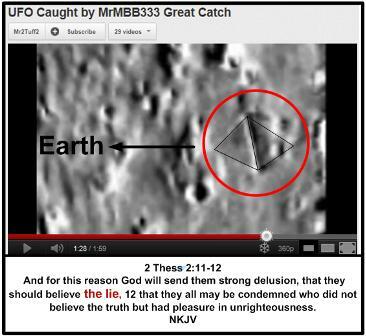 The Galactic Federation of “LIES” has been exposed for what they are in Jesus name. David Wilcock, Steven Greer, the WHOLE BUNCH of them are BUSTED. The Pleiadians are LIARS. They are fallen-angels working for LUCIFER. The Andromedans are LIARS. They are fallen-angels working for LUCIFER. The ZETAs are DEVILS. The are ALL working for the Draco-REPTILIANS!! ATTENTION … the New Age “Light Workers” have been DUPED! All these ET’s are in bed with the DEVIL and are working with DEMONS. Here below is a recently released You Tube video by Colleen Thomas. 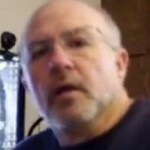 Please know that I took down my videos at colesakick channel due to having repeated predictions off the Internet that did not come to pass. My intention is to inform but I’m afraid I acted in haste in some cases and if anyone was upset by my panic that major natural disasters and a mock Project Blue Beam ET invasion were eminent in 2010 or offended that I stated things known to them to have been inaccurate I apologize. After further analysis I no longer have confidence in channeled messages or the web bot, the two sources I quoted from most often and now regret having done so. I also presented world history as Zechariah Sitchin presented it, but after reading http://www.sitchiniswrong.com/ I have come to regret that as well. Sitchin was not the expert he claimed to be, that much is certain. I’m leaving things on blip which gets very little traffic. I leave it there as a chronicle of how radically one’s life can change upon ET contact. My priorities shifted fully to learning who the players are (Watchers, Grays aka Demons, Reptilians, Sirians, Draconians, Orions, Pleiadians, etc.) and what their agenda is. In the end, I decided that all that matters is that regardless if these ETs are good or bad our Lord […] Jesus will intercede and this planet will be freed from all evil, perverse and wicked agendas no matter whose it it. The New Age teaching that (Jesus) Christis not coming except in our consciousness is a lie since no prophecy of the Bible has ever failed. This theme that (Jesus) Christ will not come back in person in spite of the prophecies and his own testimony state that he will permeates channeled messages from ETs and is certainly an aspect of the spirit of Antichrist we were warned would come at the end of the age. Upon analysis of black ops info leaked to the public it is certain that at least some of these channelings are terrestrial messages using advanced techniques of long distance mind control technology designed in USA deep black projects. My best advice to all is keep a healthy skepticism around so called prophets, psychics and channelers. 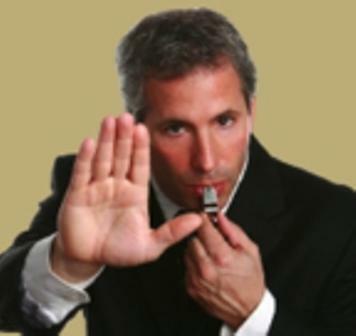 Should ETs land be on alert, do not offer trust to anyone who has not earned it and even then stay on guard. 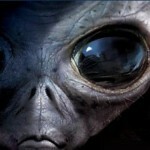 Should things happen as channeled to some, the ETs will be bringing all kinds of great technology. Hold tight to the possibility that this could be a ploy to gain trust until they make a move that serves their interests instead of ours. Be well and be wise my brothers and sisters. We were utterly blessed to have Colleen Thomas join the Tribulation-Now Radio Show and share what she has learned about the deception of the Ashtar Command and the Andro-Pleiadian “hive mind” conspiracy to enslave mankind. Please take the time to listen to this wonderful testimony and radio show. God Bless You Jimmy Prophet for your help converting this to You Tube format. 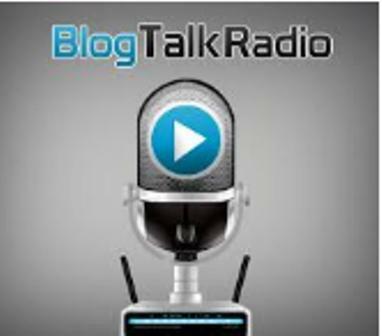 Or here is a link directly to the Blog Talk Radio stream. 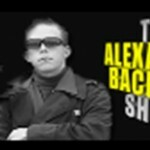 You can also go here to download an MP3 of this radio show. Be sure to click the link under the picture entitled “Download this Episode”. Those who study the “evil cabal” know there’s some type of surreptitious covenant that requires them to disclose their sinister plans prior to unleashing them upon the world. From the hidden imagery on the U.S. currency (shown to Jonathan Kleck through the Holy Spirit), to the hidden messages about 911 woven into Simpson’s cartoons, to the Illuminati playing cards that show almost every evil plan ever contrived, to the sinister warnings carved on the St. John’s Cathedral pillars in New York City, the evidence is overwhelming. In fact, the forthcoming earthquake / tsunami destruction of California and New York, prophesied by the Prophet Dr. David Owuor in two separate visions, and shown to both A.A. Allen and David Wilkerson, has also been surreptitiously shown in a Simpson’s cartoon already. It almost appears as if there is some type of “cat and mouse” game going on between our Heavenly Father God, and Lucifer. And then you have what I refer to as “The Nineveh Problem”. The Nineveh Problem is when the prayers and/or the repentance of God’s people result in God changing a prescribed outcome. There are multiple stories throughout the Bible where God changed his mind (or would have) based on the behaviors of those involved. And then you have the fact that God does nothing without revealing it through His prophets first. This makes for a very interesting series events interacting dynamically on a supernatural and natural level; indeed a fluid “three-way” end-times skirmish of sorts. In a “nut shell”, if it wasn’t for Esther, the Jewish people would have been destroyed by the Persian Empire [modern day Iran]. This is a highly simplified description, but it’s important to remain focused on the symbolism described below. 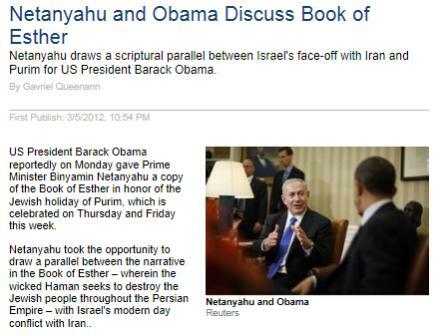 Evidently on or about March 5, the Arutz Sheva news organization released an article entitled “Netanyahu and Obama Discuss Book of Esther“. The Arutz Sheva is also known as the Israel National News. 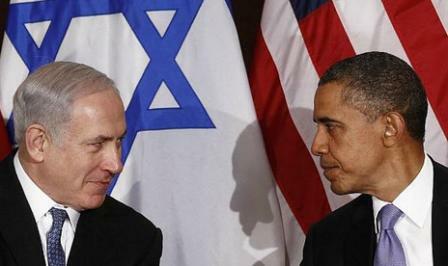 US President Barack Obama reportedly on Monday gave Prime Minister Binyamin Netanyahu a copy of the Book of Esther in honor of the Jewish holiday of Purim, which is celebrated on Thursday and Friday this week. Now I understand there are some reporting discrepancies regarding “who gave who” the scroll, and that some news sources suggest that it was Netanyahu that gave the “scroll of Esther” to Obama. While I expect there is no possible way to be absolutely sure, I would believe the Israeli paper before any other source of news. And quite frankly I really don’t think it makes that big of a difference since most “heads of state” are part of conspiracy anyway. What is truly IMPORTANT to understand is that “The Book of Esther” was exchanged between the United States of America and the Country of Israel. 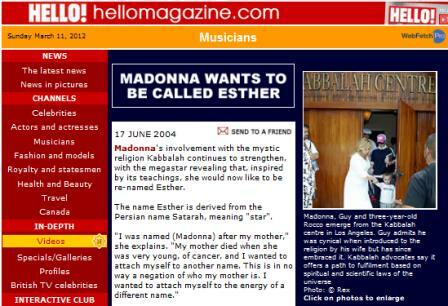 Next its rather amazing to note that around or about June of 2004, Madonna, due to her involvement in the mystic religion of the Kabbalah, (Lucifer’s twisted version of the Hebrew faith”), publicly announced that she “Wants to be called Esther“. Here is an excerpt from Hello Magazine regarding Madonna’s extremely coincidental name change. Madonna‘s involvement with the mystic religion Kabbalah continues to strengthen, with the megastar revealing that, inspired by its teachings, she would now like to be re-named Esther. The name Esther is derived from the Persian name Satarah, meaning “star”. So now we have the following equation. Now here is where this get’s especially interesting, depending on how much you understand about the history of the Illuminati and the United States. It would take me pages of data to fully edify you on the depths of this conspiracy. If you want to educate yourself on “some” of this information you might consider watching the DVD’s entitled “The Eye of the Phoenix” and “Secret Mysteries of America’s Beginnings” as primers. Then you may consider watching “The Calling” as well. These again are only “primers” but will help you to understand that what I’m trying to share with you is not arguable. The founding of the United States was heavily influenced and funded by the forces of evil through the Illuminati. In fact, the United States was, for the most part, a business venture by the “Crown” (the Royalty in England) known as the “Virginia Company”. The Crown is the financial oligarchy of the world. The Vatican is the religious oligarchy of the world. And the United States is the military oligarchy of the world. This is the “Triple Play of Evil”. The United States, as the “military might” of the forces of Lucifer, is also Babylon the Great of the Holy Bible. This has been confirmed time and time again by our Heavenly Father God through his angels and the visions and dreams of God’s prophets (see above). Jeremiah 51 and Revelation 18 both prophesy about the destruction of the Great Babylon by FIRE in ONE DAY. Therefore her plagues will come in one day — death and mourning and famine. And she will be utterly burned with fire, for strong is the Lord God who judges her. This is only possible via THERMONUCLEAR WAR. Here is one such confirmation from the Romanian immigrant Dimitru Duduman who was visited by an Angel of God (multiple times) and shown the United States will be destroyed by nuclear war. It is also very important for you to understand that the forces of evil do not have 100% control over everything. The Council on Foreign Relations has been struggling with the United States Congress for years. While a noteworthy presence of dark Luciferian evil exists in the upper echelon of most governments of the world, and particularly the United States, there are some good people there. 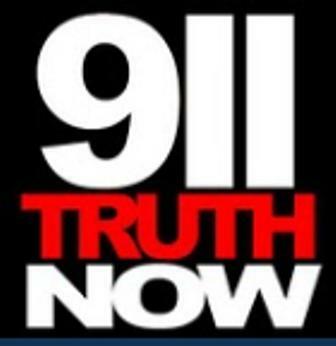 It has been the PLAN from the very beginning to destroy the United States in order to usher in the New World Order. 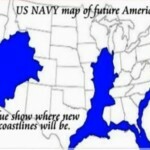 Once the United States is destroyed, the rest of the world governments will BOW to Lucifer’s control grid. The illusion of the U.S. being this great global “peace-keeper” will vanish, and the dark cabal will rise in the smoldering ashes of the remains. Not only has this been planned for several hundred years by Lucifer’s minions, but it is prophesied in the Holy Bible. Here below you see the Sackcloth&Ashes presentation of the Superbowl Symbolism staring Madonna … WHOOPS I mean …. ESTHER! It is critical to notice the following symbolic items. Madonna is symbolically Isis or Queen Semiramis. The Statue of Liberty was originally created to represent Queen Semiramis. Madonna represents the Biblical “Whore of Babylon”. This is confirmed by the “god” of Mercury (Greek god of commerce) dancing around her during the show. Roman soldiers have Sumerian / Ancient Egyptian “Winged Sun Disk” symbol on their breast plates. The Winged Sun Disk symbol represents “Nibiru / Planet X” and the Return of the Sumerian “gods” . 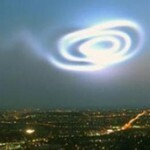 They are preparing the world for the return of our lying “creators” (see 2 Thess. 2:11). I had mentioned this symbolism on the Tribulation-Now Radio Show a few days ago. Later I received an email from Jeff D. God Bless You Jeff. And prior to that I received another email from brother Lance H. God Bless You Lance. We are all part of the Body of Jesus Christ (see 1 Corinthians 12-13) and praise Jesus together we can “see” some amazing things unfolding and help / encourage one another. GLORY TO JESUS!! Yesterday I received this “confirmation” from Jeff. 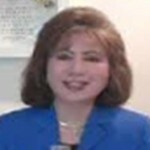 This is a You Tube video “prophecy” presented by two folks that are wonderful saints … praise God. While they don’t have all the answers, (ref. 1 Cor. 12-13), they are definitely hearing from our Heavenly Father. Here first is the You Tube of the prophecy they received from the Lord. Incline thy ears, Oh daughter of Zion, for I am at the door. Have thy watchmen not given the fair warning? Let not the field of worry distract you from your purpose. Patience shall be rewarded, for it is obedience for salvation awaits. Your destiny rides on the wind, to serve my glory. Today I proclaim the “Hour of Vigilance” is upon thee. Now is the time to loosen thy sandals, for when I speak the heavens listen. I shall mount thee on “Eagles Wings” to proclaim my Glory. The eyes of days have revealed the evil in men’s hearts. Shall I not punish the wicked for their injustices laid at my feet? My guiding light, opens the door for the true believers. Incline thy ear, can you not hear the drums of war in the distance? The evildoers make ready and they sharpen their swords. For soon their treachery shall be seen in the light of day. Gird thy loins for the armies of evil shall spread like locusts and they shall cover the lands. Let us awaken those who rest for the time of truth nears. Look around, for you shall bear witness to the power of the Lord. The day grows short, for soon the shadows shall cover the land. Do not fear tomorrow, for it shall bring forth a new beginning for the DAY OF ATONEMENT beings. In Theology . The doctrine concerning the reconciliation of God and humankind, especially as accomplished through the life, suffering, and death of Christ. This folks is a warning of judgment. I believe this is a warning of the forthcoming Great Tribulation. Some people might suggest this is a “fallen-angel” alien invasion. While I DEFINITELY believe this will eventually be part of this overall deception / strong delusion series of events, I believe this particular reference may be Intercontinental Ballistic Missiles (ICBMs). Remember, the Great Babylon is destroyed by Fire in ONE DAY. I believe that the term “I shall mount thee on Eagle’s Wings” is a direct reference to Revelations 12:14. But the woman was given two wings of a great eagle, that she might fly into the wilderness to her place, where she is nourished for a time and times and half a time, from the presence of the serpent. We are dealing with a PRE-WRATH rapture / rescue mission of the Bride, just like the Bible says. 1) the rapture is about to take place, 2) the Iran war is about to begin “in the sky”, and 3) the reconciliation of God to mankind is about to begin. Nazi attacks against Jews often coincided with Jewish festivals. On Purim 1942, ten Jews were hanged in Zduńska Wola to avenge the hanging of Haman’s ten sons. In a similar incident in 1943, the Nazis shot ten Jews from the Piotrków ghetto. On Purim eve that same year, over 100 Jewish doctors and their families were shot by the Nazis in Częstochowa. The following day, Jewish doctors were taken from Radom and shot nearby in Szydłowiec (ref. wikipedia.org). God Bless You Kenneth for that contribution. Also here in Revelation you see the under “The Meaning of the Woman and the Beast” this fascinating tidbit. “The ten horns which you saw are ten kings who have received no kingdom as yet, but they receive authority for one hour as kings with the beast. 13 These are of one mind, and they will give their power and authority to the beast. So why would the “ten kings” (e.g. 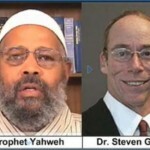 the ruling serpent Nachash and leaders of the New World Order), only rule for ONE HOUR? ‘These things says He who is holy, He who is true, “He who has the key of David, He who opens and no one shuts, and shuts and no one opens”: 8 “I know your works. See, I have set before you an open door, and no one can shut it; for you have a little strength, have kept My word, and have not denied My name. 9 Indeed I will make those of the synagogue of Satan, who say they are Jews and are not, but lie — indeed I will make them come and worship before your feet, and to know that I have loved you. 10 Because you have kept My command to persevere, I also will keep you from the hour of trial which shall come upon the whole world, to test those who dwell on the earth. 11 Behold, I am coming quickly! Hold fast what you have, that no one may take your crown. 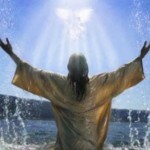 When the NEW WORLD ORDER rules the earth, the BRIDE OF JESUS CHRIST is IN HEAVEN !!! GET THE SIN OUT OF YOUR LIFE IMMEDIATELY AND …. “Heavenly Father, have mercy on me, a sinner. I believe in you and that your word is true. I believe that Jesus Christ is the Son of the living God and that he died on the cross so that I may now have forgiveness for my sins and eternal life. I know that without you in my heart my life is meaningless. I believe in my heart that you, Lord God, raised Him from the dead. Please Jesus forgive me, for every sin I have ever committed or done in my heart, please Lord Jesus forgive me and come into my heart as my personal Lord and Savior today. I need you to be my Father and my friend. It is absolutely amazing to me how many people are waking up to the wiles of the devil. The “evil cabal” that’s running the world is no longer a mystery to folks, who only a few short months ago, didn’t have a clue. Of course, when you consider that there are roughly 7 billion people in the world, the numbers are still relatively small, but they are clearly increasing at an amazing rate. Praise Jesus. lest Satan should take advantage of us; for we are not ignorant of his devices. 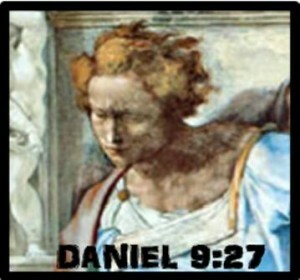 References to the 2 legged serpent creature are all throughout the Holy Bible. 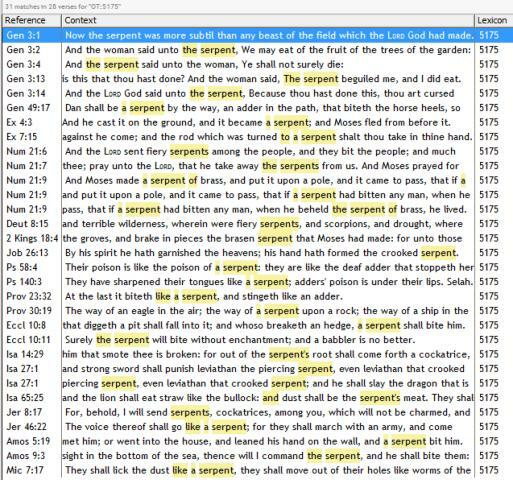 Here below is a snap shot of an Englishman’s Concordance search on all references to Strong’s OT5175 “Nachash”. With all the “to do” about the accuracy of the King James Bible, I continue to struggle with how so many books have been removed from the original. You can label them as you wish, but it still baffles me. I find it even more suspicious that the Catholic Bible today has the book of 1 Esdras in it, but mysteriously omits the book of 2 Esdras, where all the really interesting visions and prophecies are. 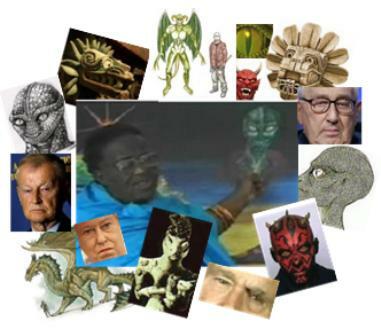 Isn’t it fascinating that so many people refer to the upper echelon of the Luciferian “caste system” of government, being the “Dracos” reptilians, from the Draco Star System? I find that most fascinating when I look at the book of 2 Esdras chapter 15. 29 Where the nations of the dragons of Arabia shall come out with many chariots, and the multitude of them shall be carried as the wind upon earth, that all they which hear them may fear and tremble.30 Also the Carmanians raging in wrath shall go forth as the wild boars of the wood, and with great power shall they come, and join battle with them, and shall waste a portion of the land of the Assyrians.31 And then shall the dragons have the upper hand, remembering their nature; and if they shall turn themselves, conspiring together in great power to persecute them,32 Then these shall be troubled bled, and keep silence through their power, and shall flee. Some of them live in tunnels underground. Some of them are coming from “afar”. They are fallen-angels in the flesh. Reportedly some of them transform inter-dimensionally. They are carnivorous towards humans. They are seething evil and filthy abominations unto God our Father. 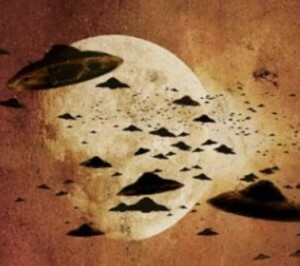 Some experts are suggesting these “entities” could be returning to earth as early as MAY of this YEAR! Here is a quote (snapshot) from the book “UFOs, Aliens’ Impregnated Women, Extraterrestrials and God” written by Maximillien de Lafayette, page 67. 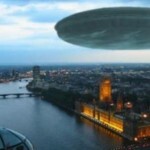 Tens of thousands, potentially millions of people have been “abducted” by so-called “aliens”. Many, if not a large majority, have been microchipped. Isn’t it fascinating that the “Mark of the Beast” is almost certainly going to be some type of RFID type “microchip”? Do you believe this is only a coincidence? Isn’t it interesting the alien microchips implanted into humans are connected to “nerve tissue”? Can you say “mind control”? 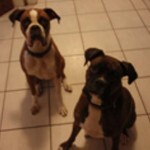 Do you believe the claims that these “beings” are carnivorous toward humans is a paranoid delusion? The NEED to drink the blood of humans in order to “shape shift”. It gives them inter-dimensional powers they otherwise do not have. Praise Jesus I can show you these things in the Word of God, our Holy Bible. Otherwise I would be reluctant to speak of such awful stuff. Amen? Praise God we are to expose the forces of darkness. Why do the Dogon of Mali, West Africa swing the Bullroarer in the air making the sound of their “star gods”? Why does this sound so incredibly close to the Didgeridoo of the Aborigines? 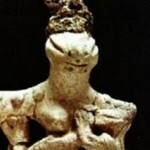 Why did many of the ancient tribal people’s worship “star gods”? Why did the Mayans and Incas perform “blood sacrifice” rituals? Were they not all blood relatives of the ancient Phoenicians? Were they not all blood relatives of the Canaanites? Isn’t the Dog Star Sirius and the Star System Pleiades shown on the Wall Mural of the Masonic Lodges? Why do the Dogon tribes ancestry track back to the Pharoah’s dynasty of Akhenaten the “star god” hybrid? Who are they waiting for? Who Else is Waking Up? Here below is a video of Alex Jones speaking with David Icke. Listen very closely to what Alex Jones says during the first 10 minutes of this video. His references to the Bible are astonishing and very accurate. In fact Mr. Icke, who is NOT a Christian, admits the Biblical truisms near the 11 minute mark as well. 2 plus years ago when I was writing about these things, Alex Jones wouldn’t have given this a second glance. THIS IS A SIGN OF THE TIMES! David Icke’s book “The Biggest Secret” is a must read if you feel led to learn more about these “entities” and their abominations. And for more confirmation you can read the book “Tranceformation of America” where Cathy O’Brien admits seeing George W. Bush shape shift into a reptilian entity. Or you can read the quote of Christine Fitzgerald, Princess Diana’s best friend, as she tells people about the Windsors. Or you can read about the Lizard People of Los Angeles in this article by Terrence Aym in Salem-News. Isn’t it fascinating the Vatican has CATACOMBS built under it? Why do the Catholic Bishops wear Mitres that look like the dagon fish “gods” of the Philistines? Isn’t it fascinating that the “Dogon” tribesmen of Mali have such a similar name? Isn’t this an interesting quote from the Emerald Tablets of Thoth? “Far in the past before Atlantis existed, men there were who delved into darkness, using dark magic, calling up beings from the great deep below us. Forth came they into this cycle, formless were they, of another vibration, existing unseen by the children of earth-men. Only through blood could they form being, only through man could they live in the world”. “In ages past were they conquered by the masters, driven below to the space whence they came. But some there were who remained, hidden in spaces and planes unknown to man. Live they in Atlantis as shadows, but at times they appeared among men. Aye, when the blood was offered, forth came they to dwell among men”. “In the form of man moved they amongst us, but only to sight, were they as are men. Serpent-headed when the glamour was lifted, but appearing to man as men among men. Crept they into the councils, taking form that were like unto men. Slaying by their arts the chiefs of the kingdoms, taking their form and ruling o’er man. Only by magic could they be discovered, only by sound could their faces be seen. Sought they from the kingdom of shadows, to destroy man and rule in his place”. Oh still not convinced? How about let’s take a look at the Testament of Amram from the Dead Sea Scrolls? A Chitahuri Invasion Warning on Five Doves! Now for the record, I am not a frequenter of the Five Doves operation. However I do receive a number of emails from people. This one was forwarded from the producer of our Radio Show, Cathy. Praise Jesus for you Cathy. I don’t know who this “Jethro” person is, and that’s fine praise Jesus. And I don’t know who this Ned fellow is either. But after spending several years PREACHING to people about these things, I am saying PRAISE JESUS this information is finally reaching the masses. GLORY TO GOD! the information for Jethro once and for all and at a faster and faster pace. Truly this is not a coincidence and these are indeed The End Times. The truth is even more shocking than you may have reviously [sic] imagined, Doves! Many of the events, visions and brief flickers of data you have experienced are all part of the wider vision and view that Jesus has given to Jethro. What is even more heartening (and somewhat more disturbing and frightening) is that since we contacted Ron and yourselves regarding the secret conspiracy of the Chitauri – Satan’s minions, architects of the NWO and also known as fallen angels or Nephilim – OTHER people of God have started to post about the same matters on Five Doves. We have seen two more letters on Five Doves about the Nephilim-Chitauri in the last TWO DAYS! Is this coincidence? Have the Watchmen been watching Earth too closely when the real threat lies beyond it? 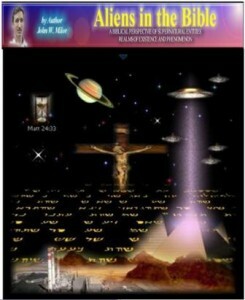 Our Lord Jesus is now revealing THE TRUE COMBATANTS IN THE FORTHCOMING COSMIC WAR! And not a moment too soon! It is only now, in the final few minutes of the clock ticking, that Our Lord brought us here and is allowing these secrets to be revealed. Only now can they be shared with you. You may find it disturbing and you may find validation and answers to what has thus been shown. At last and in time. So many of you have sent letters regarding these events but now the whole tapestry of Satan’s Sinister Masterplan is revealed – through the prophetic vision of Jethro King!! 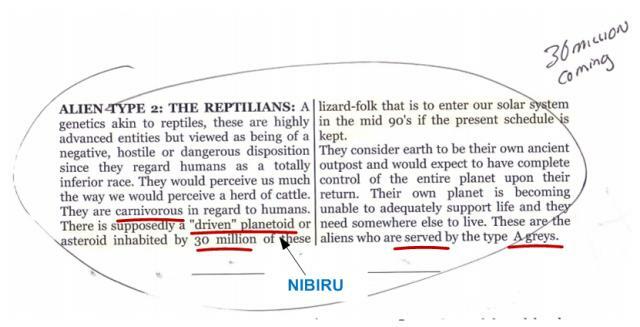 the math all day on your own – while your (im)mortal enemies the Chitauri have 3000 agents (human, reptilian and spiritual) at work in giant space stations orbiting their black star DOING THE SAME WORK and UNDOING THE WORK YOU HAVE DONE! Take solace that they will not always be the operators when OUR LORD SOON STRIKES! When a heavily armed invasion force of the Heavenly Host breaches the airlocks of their mothership the shoe will be on the other foot!! Hallelujah! 6. 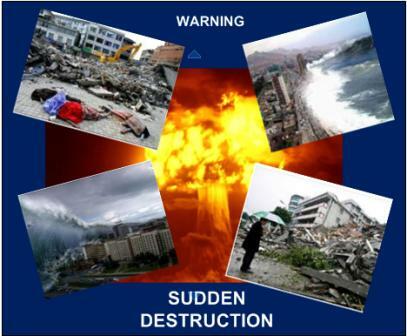 ‘The Sudden Destruction’ is more horrific than anyone has dared to believe so far. The SIX SIX SIXES of cosmic spiritual warfare stand revealed. Who’s side are you on? Tomorrow – the Chitauri Empire’s DEATH PLAN for the Solar System and how the Rapture Cosmic War will be fought and WHO are the Human-Satanic-Chitauri people AT LARGE and already in place to serve the ANTICHRIST-CHITAURI HIGH GENERALISSIMO? And as you ponder if these “things” are strictly “inter-dimensional, why not get yourself a cup of coffee or your favorite glass of wine, and consider these things as you watch THIS video. And for this reason God will send them strong delusion, that they should believe the lie, 12 that they all may be condemned who did not believe the truth but had pleasure in unrighteousness. Suddenly all these claims about “shape shifting” reptilians doesn’t seem so far fetched; at least I would hope not, for YOUR sake. ANYONE who is living in SIN will have to face these things in the Great Tribulation. Suddenly the “Before It’s News” article entitled “NASA vs. Reptoids in Chilean Mines” doesn’t seem so far fetched. In fact if you search on “NASA Chilean Mine” you will find a number of articles confirming that NASA was indeed involved in the Chilean Mine disaster. I’m sure the “space” part of their name had NOTHING to do with their presence on the scene. 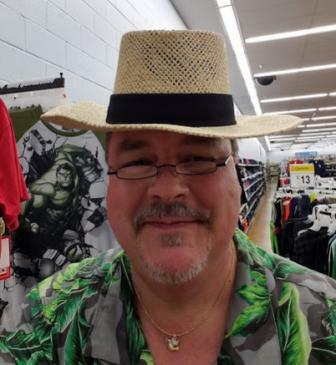 If you want to learn even more about this “stuff” be sure to tune into the Radio Shows entitled “Zen Garcia – Sons of God, Who are We, and Why Are We Here?” Here is PART III. Be sure to listen to part one and two as well. SALVATION HAS A WHOLE NEW MEANING! Praise Jesus and Glory to God. What a blessing it is to be alive in such exciting times. Never before has the Christian world had so much to talk about. For those of us who are awake, it’s absolutely amazing. Now for the first time ever, we Christians can discuss all sorts of controversial topics with people and “lead them” to think about their eternal destiny. Nowadays you can strike up a conversation about UFOs with just about anyone. Nowadays you can mention the increase in earthquakes with just about anyone. Nowadays you can talk about the forthcoming Iran conflict and point to the Bible and people will often respond with curiosity. Now is NOT the time to cower in your bedroom biting your fingernails. Now is NOT the time to be FEARFUL. Now is the time to WARN PEOPLE and witness to them about the AWESOMENESS of Jesus and Heaven. Here an awesome You Tube video by “fidockave213” to help us all remember just how much has happened since the beginning of 2012. God Bless You Tamra for sending this in. There’s probably no one as surprised as I am that we are all still here on earth. The number of unbelievable warnings that occurred in 2011 alone … is unreal. Each one of last years events was powerfully potent. From the “New Madrid” scare of last May, to the 11-11-11 Warnings in November, anyone “watching and waiting” for the return of Jesus Christ had to be on the edge of their seat the entire time. I was. I am still. 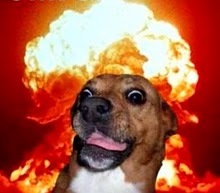 To those of us who have been watching the “apocalyptic headlines”, things have simmered down in the last few weeks. Someone emailed me and suggested that maybe we are experiencing the “silence in heaven for about a half hour” (Rev. 8:1). Unfortunately that happens at the opening of the Seventh Seal and we haven’t had the “global earthquake” of the Sixth Seal yet. What IS interesting to note is that evidently *after* the Iran War begins there is some type of massive earthquake. 18 “And it will come to pass at the same time, when Gog comes against the land of Israel,” says the Lord God, “that My fury will show in My face. 19 For in My jealousy and in the fire of My wrath I have spoken: ‘Surely in that day there shall be a great earthquake in the land of Israel, 20 so that the fish of the sea, the birds of the heavens, the beasts of the field, all creeping things that creep on the earth, and all men who are on the face of the earthshall shake at My presence. I wonder if THIS might be the opening of the Sixth Seal … hmmm. 12 I looked when He opened the sixth seal, and behold, there was a great earthquake; and the sun became black as sackcloth of hair, and the moon became like blood. 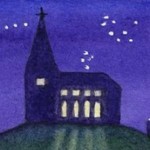 13 And the stars of heaven fell to the earth, as a fig tree drops its late figs when it is shaken by a mighty wind. 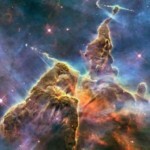 14 Then the sky receded as a scroll when it is rolled up, and every mountain and island was moved out of its place. We already know for SURE that Jeremiah 51 and Revelation 18 go together. Babylon the Great (the USA), is destroyed in one day. And there’s no question it is “thermonuclear war”. So is it possible ALL these scriptures align? Jeremiah 51, Revelation 18, Revelation 6, Ezekiel 38 & 39? My Sister, God Bless her, emailed me. It was a nice email. She sent it in a kind effort to help me “calm down” and become the “friendly kicked-back” Johnny she is so familiar with. Really? If you saw a woman with a small child standing in a street with a Bus heading right at them … what would you do? 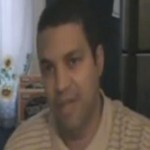 And here are links to the two YouTube videos attached. I have not watched them yet and I don’t understand Spanish anyway so please don’t ask me to interpret them for you. God Bless You. Visión que confirma los mensajes que el hermano Elvi Zapata ha recibido del Padre Celestial. Glory to Jesus the Annunaki “star freaks” are almost here! Praise the Most High YHWH God, our Heavenly Father. All the Glory to JESUS CHRIST! Anyone who has been seeking some understanding about these UFO alien “fallen-angel” entities should know by now there is a forthcoming invasion coming upon the earth. By the grace of God I have been blessed to share numerous articles about this deception for a very long time. 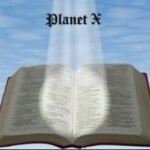 Indeed if you read through the articles on Tribulation-Now, you will find the truth. If you have questions feel free to email me at jbaptist@tribulation-now.org and I will help in any way I can. Time is very short. 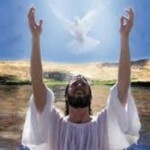 Jesus Christ is about to remove His “bride” in the “rescue mission” (rapture). Then “All Hell” is going to break loose. Here is a list of articles you can read to get you started on some rudimentary understanding. If you want any chance of escaping these things, you will need to surrender completely to Jesus Christ in earnest prayer immediately. Start reading and start praying. Get ALL the sin out of your life IMMEDIATELY. Please go to the Radio Show archive and listen to the Radio Shows. There are many articles on Tribulation Now that will help you in your understanding. There are many more than I can show you in this short list. However here are direct links to a few. God Bless You. I would also recommend you read “at least” the articles listed on the right side of this web page under “Hottest Articles”. I know it’s a lot of reading but you need to be prepared. If you are just now discovering these things and are not living a “holy and Godly life” (see this article here) in true obedience to Jesus Christ, then you are almost certainly going to be “left behind” with millions of other Christians. Here is this most amazing video showing a huge pyramid shaped mothership heading directly toward earth. 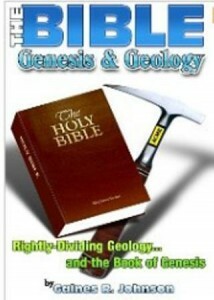 Again I tell you in Jesus Name that 100% of everything and anything related to the pyramids is THE ENEMY. Also be sure to listen to Stan Deyo of Millennium Ark testify on the radio that certain insiders at the Pentagon KNOW about the Sumerian “gods” (the Annunaki) returning. Please. Time is so short. Take the time to watch this video here. This SAYS IT ALL.